Thinking of getting married in Noosa? 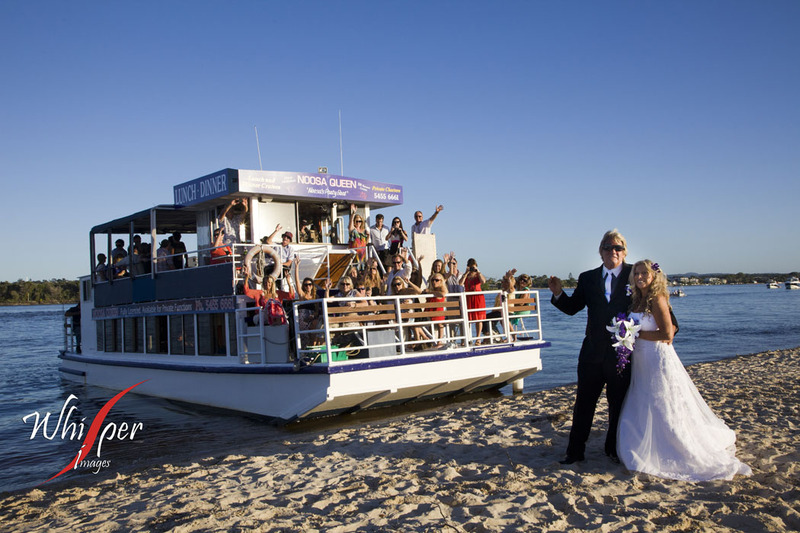 Don’t be boring and go with a fixed wedding venue, hire out the Noosa Queen and get married on the Noosa River. Choose to hold your wedding ceremony aboard the Noosa Queen. On your chosen spot of beach or a public jetty where we drop you and your guests off. Or just party away at your reception with the gorgeous Noosa River as your moving backdrop. Every individual is different and your private charter will be a unique occasion with its own special requirements. Our experienced staff will be on hand to ensure that every detail goes according to plan. Check out some of our party packages to get you started.